Holiday will surely release your daily stress but a yoga retreat in Bali offers more benefits. Bali Yoga School offers an unforgettable experience of 3 days yoga & meditation retreat in Bali. Now, you can enjoy your holding along with joining a yoga retreat. Yoga retreat offers you fun activities and you also get to practice yoga every day. Yoga retreat in Bali include yoga classes, self-improvement workshops, and meditation. Our teachers possess the ancient knowledge and modern yoga teaching methods to offer classes for beginner, intermediate and advanced levels for yoga. We offer yoga/ detoxification & meditation sessions everyday followed by daily excursion to the most beautiful places. 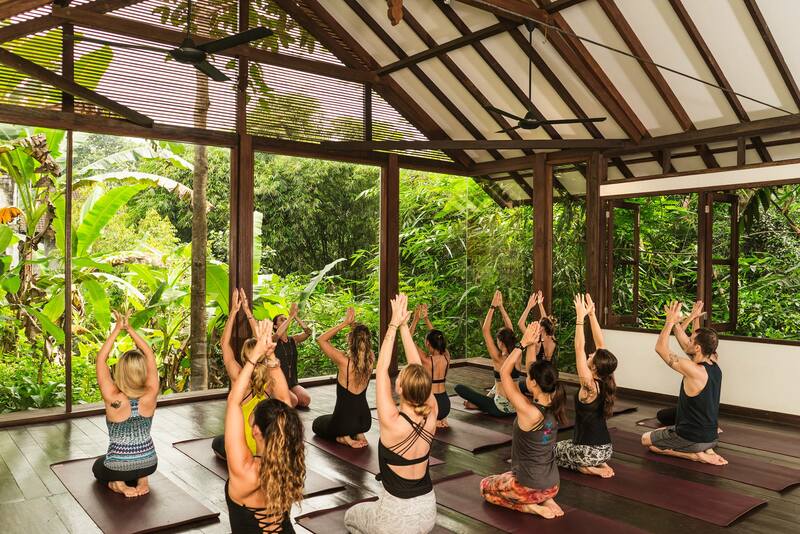 We also offer customised yoga retreats for those who want to delve deeper into the ancient spiritual yoga tradition and allow you to experience the physical & subtle aspects of yoga. Bali offers a great yoga experience; it has a number of resorts, waterfalls, temples, shops, and much more. We guarantee you a completely refreshing experience in yoga school in Bali. A yoga retreat is a perfect way to take a break and divert your mind from negative thoughts to get settle into a blissful conscious state. Booking Fees– In order to book for retreat, deposit an advance fees of 250 USD, This advance fee will be subtracted from the entire fee and the remainder of the yoga fee can be paid on arrival. An official confirmation letter concerning your course will be send to you shortly after successful advance deposit for the retreat fees.